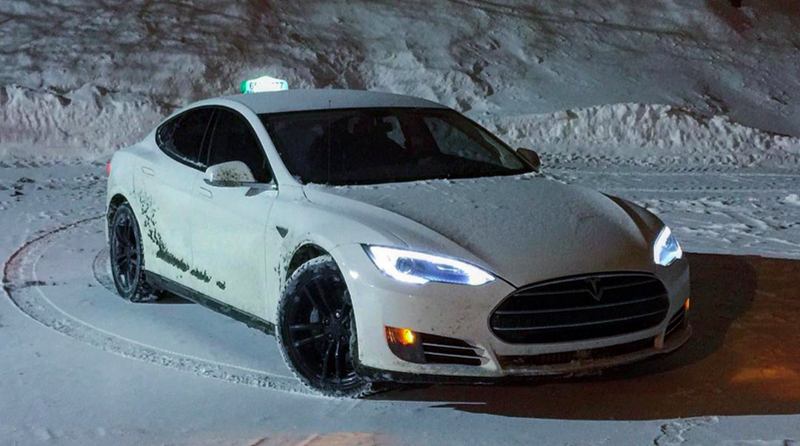 Christian Roy of Quebec City has been using his Tesla Model S as a taxi for over two-and-a-half years, accumulating over 100,000 treacherous taxi miles. How did this high-tech electric car stand up to that much cab abuse? After reading Electrek’s article about the Tesla taxi, I decided to give Christian a call. Over the phone today, he told Jalopnik he was the first Tesla taxi driver in North America, and that he has put his 2014 Tesla Model S 85 through the wringer to the tune of over 100,000 miles—with over 90 percent of those in the city. Look at any used car ad, and you’ll see sellers boasting about their car’s “highway miles.” We all know steady-state freeway driving is much easier on a car, while heavy stop-and-go city miles can really do a number on mechanical bits. And very few cars see harder city miles than taxis. Christian said the Model S’s major issues have been mostly related to the car’s electric drive unit. Early in his ownership of the car, at about 25,000 miles, Tesla swapped his car’s drive unit out for a new one. (Quality issues on early drive units are well documented.) But since then, after about two years and an additional 75,000 miles of 90 percent city driving, Christian said his car has required only new tires, brake pads, ball joints and wheel bearings—totally normal, he said, for cars driving through pothole-ridden city streets. Just recently, though, the drive unit failed again, though Christian said that’s likely because his original drive unit, which failed in 2014, had been replaced with another early drive unit instead of a revised model, which came in 2015 models. In either case, though, Christian told me Tesla replaced the drive units free of charge with 24 hours, so he didn’t lose any money while waiting for repairs to his source of income—something he said was a big issue with his previous car. Christian admitted that Tesla’s regular maintenance repairs like brakes and bearings cost more than those on his old car, a Subaru Legacy, but said he expects the Tesla’s real benefit to come in the next few years as the car crests 200,000 miles. Christian’s old Subaru had to have its engine rebuilt two or three times over the course of about 330,000 miles. While he admits he drove that car hard, Christian said that car often required more than $1,000 per month to maintain. He’d put a few grand into the car, and then feel obligated to keep it longer since he’d just repaired it. That would start a vicious cycle until he had racked up well over $20,000 in repair bills over eight years of driving. His Tesla, though, won’t have that problem, since it has the infinite-mile powertrain warranty— a warranty that should be a godsend for Christian, who puts about 50,000 miles a year on his taxi. That warranty means Christian will likely just be replacing ball joints and wheel bearings, foregoing the high-dollar major repairs associated with the gasoline taxis he spent nearly 15 years driving—well, at least until 2022, when the warranty runs out. So sure, the car cost about $70,000. And it had to have its drive unit replaced a few times. But between that anticipated decrease in maintenance cost compared to a conventional gas car, and the fact that Christian has only spent about $3,700 over 2.5 years in electricity (versus about $5,000 a year in gas charges, according to Electrek) to charge his car from his home over 100,000 miles, it’s probably safe to say a Tesla makes for a decent taxi cab.